It’s only February and it’s already been an amazing year for awards (please come back to the blog soon, there’s more to follow). But for now it’s with great pleasure to announce another win for Fearless Photographers, a directory of the best wedding photographers from around the world. In this sensational collection I was lucky enough to have a single image chosen and an honourable mention. There were over 11,000 photos submitted and only 135 winners (around 1%), so picking up an award in this round is an incredible achievement. This new collection brings my total to 7 and puts me in 4th place in the UK! The winning photo was taken at Holly & Danny’s post-wedding shoot and the honourable mention of that vibrant bouquet toss was shot at Quinton House in Northamptonshire for Fernelle & Lawrence. You can check out the full collection here, and see more of my Fearless Awards here. Wow, I'm sure you are so honoured to have so many awards! Good luck to have more! Have a lovely year! Nice work fella! Cracking images. Both brilliant - the one with the bridesmaids is great & a little scary as well! Fantastic stuff mate. That top shot is something special for sure! Good luck for the rest of the year! Both beautiful images, and so well deserved Aaron! Keep up the good work! These two are amazing! Love the pillow fight one, does make me wonder what was going on?! 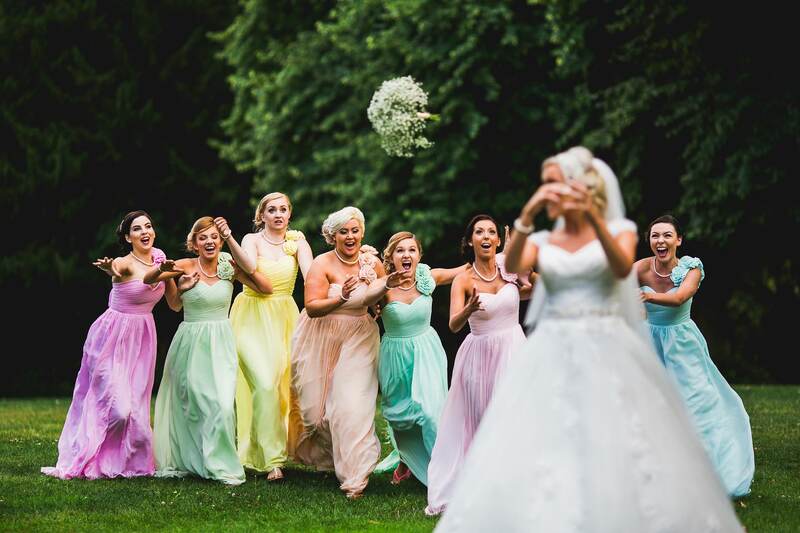 Such great images, I really love the colours of those bridesmaids dresses. Nice to see something different for a change. Cracking photos, 100% award worthy! Well don Aaron. Well done Aaron, you are crushing it! DUDE! Both images are worthy of Fearless images. Love the feeling you get from the first image. You can feel the movement, love and connection. Very good! LOVE these!! no idea whats going on in the top image, but i love it! !